Buying a house is a scary move and many first-time buyers are still very apprehensive about the process. However, the more you know, the easier it can be. 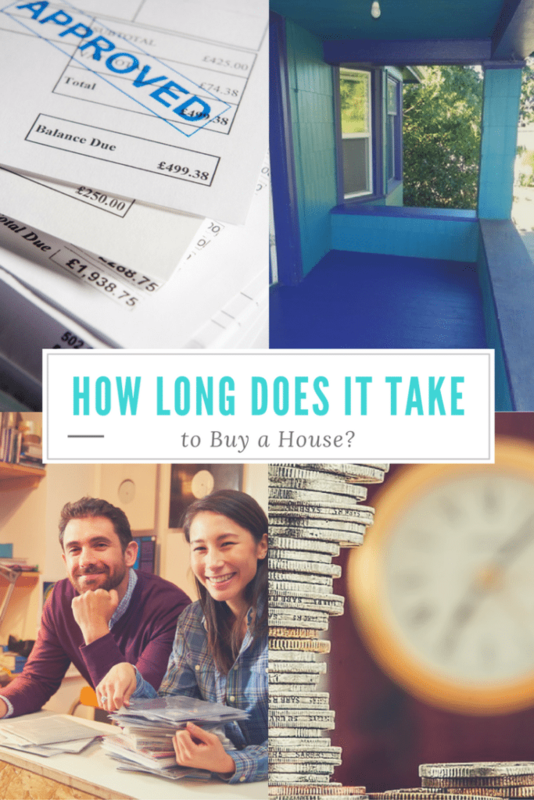 One of the biggest questions that many first-time buyers have is how long the process really takes. Here’s a good breakdown of the process and timelines when you buy your very first home. On average it takes about 30 to 45 days to finalize all the documents necessary in order to close on a home. Finances take about a month and negotiations can take anywhere from an additional 10 days to 45 days. If you need to get your credit in line this can take at least about eight weeks. If you’re just under the score for an FHA or conventional loan, you may want to spend a couple of months getting your finances in order and raising your credit score in order to get the best rate and terms. If you already have a good credit score it takes about a week to research different mortgage options, which is a vital part of the home buying and borrowing process. You can literally save tens of thousands of dollars in interests and fees by researching the best loan for your needs. Buyers have choices of FHA loans which require a 3.5% down payment or conventional loans which typically require at least a 5% down payment and a credit score of 680. VA loans are also an option to help veterans and their families obtain excellent home financing. Once you’ve decided on the mortgage, you’ll need about two days to a couple of weeks for preapproval. 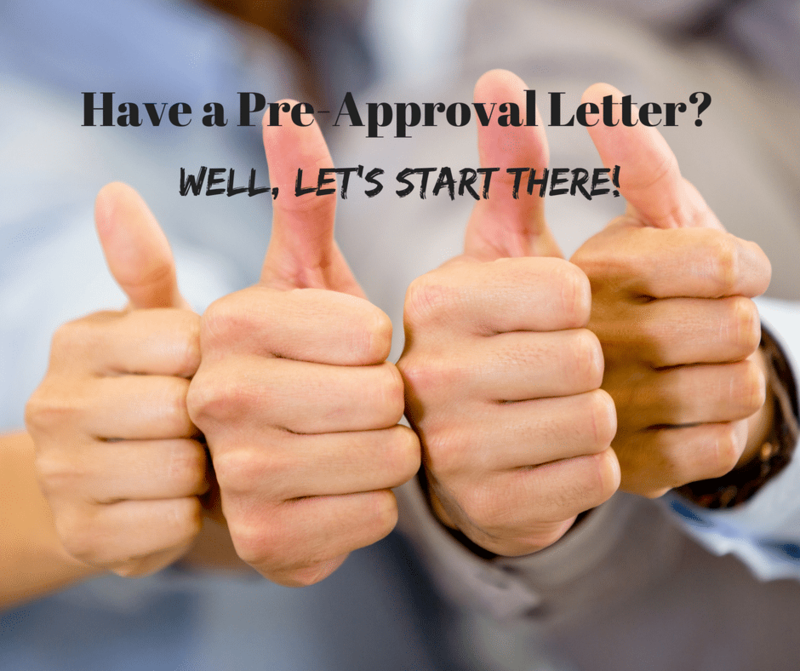 You want to seek preapproval prior to beginning your home search so that you have the documents in hand and you know exactly how much home you can afford. This process can take literally hours but could take up to a month depending on the type of loan you’re looking for, grants, personal assistance or increasing your credit score. Next, you’ll need to find a real estate agent and this can happen in one day or can take up to a month if you’re interviewing different agents. You want to get an agent that specifically helps buyers. There are many listing agents and solely buyer’s agents and some do both. You’ll want to find an agent that is proficient in the market, understands homes that could be overpriced and knows how to find a great deal. Your buyer’s agent is your advocate during the home buying and negotiating process so it’s crucial that you find someone with whom you feel comfortable and can trust. Researching potential homes and neighborhoods could take several weeks but it also can happen at the drop of a hat. You might be surprised as to all the homes you look at only to go back to the very first one you ever viewed. Start your search online by browsing all homes for sale in Sunset Beach and outlying areas. You might find something more affordable and larger in the city just outside of Myrtle Beach. Talk to your real estate agent about commute times, neighborhoods, school districts and what you really are looking for in a home purchase. Once you’ve made the decision to purchase a particular home the process is a little more streamlined. Negotiations can go on as long as the buyer and seller cannot agree. If buyer and seller agree to all negotiations from the first presentation of documents they can take no more than three days to have the property under contract. From there, you’ll move on to the home inspection. Buyers typically have seven days to order and conduct a home inspection. The inspection will take anywhere from 2 to 4 hours and you want to a company your inspector to learn as much about your home as possible. After the inspection, negotiations will start up again if necessary. Buyers and sellers typically have three days to respond to certain requests and changes on the inspection report. This can go back and forth for several weeks until a mutual agreement is made. Again, this could happen immediately if the inspection is approved right away. Once the inspection is approved the sale goes on to “pending”. From here, it can take anywhere from one week to several weeks for the final closing to happen based on the initial terms in the purchase and sale agreement. Perhaps the seller asked for a little bit more time to move out. There’s usually a date on which the closing is to happen. If it needs to be changed it will also require mutual acceptance. On average, after the inspection, it’s typically 3 to 4 weeks before the buyer can receive the keys to the new home. Again, based on finances, negotiations and terms in the purchase and sale contract, most real estate transactions last anywhere from 30 to 60 days. If you’re ready to get started looking at homes throughout the Sunset Beach real estate market please contact my office today or let me know if you need referrals for home inspectors or lending options and feel free to browse the site for all properties for sale throughout the area. Fall is just around the corner. Maybe you are thinking about starting your home search as soon as the busyness of summer dies down ( or maybe you just want to enjoy your summer days as long as you can). 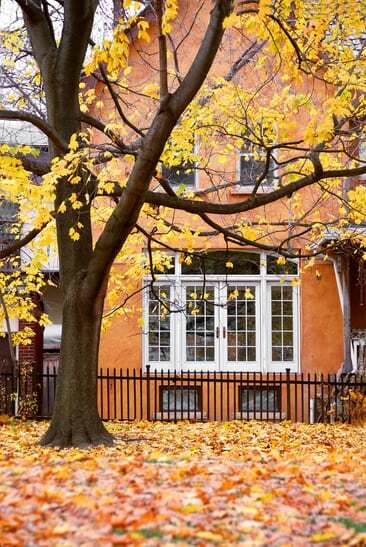 Here are some tips for buying a home in the fall. Home values typically see a slower rate of appreciation beginning in August. This is not true of all markets though so be sure to check with your experienced local agent about current market conditions in the area you want to buy. The peak selling season in most areas is the Spring. So homes that were put on the market have sold or sellers are frustrated and may take their home off the market to wait for next year as not to be burdened with the extra work of selling during the holidays. Homes that have been on the market since spring may have sellers more motivated to negotiate a lower price on their home. Sellers that are determined to sell their home will keep them on the market but know they may need to entertain a lower offer and come down in asking price a bit. Fall is actually a great time to see how a home truly holds up during inspection time. The weather in fall turns a little wetter and stormier. This is a good time to see if there are any leaks or concerns in the structure of the home. It is also a good time to see how much the homeowner takes care of the landscaping and if there is proper drainage. If you are looking for a better deal on a home and a truer look into the home’s condition fall is a good time to buy a home. For more information on buying homes and Sunset Beach NC real estate please browse our website or contact us anytime.